Understanding key project manager duties in relation to the four functions of management will help you successfully lead your projects. 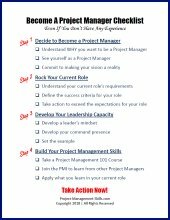 The specific duties of a project manager vary from industry to industry, company to company, and sometimes even from project to project. But there are some key duties and responsibilities that, if performed well, will help you successfully complete your projects. 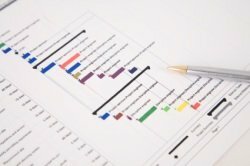 Planning is an essential project manager duty. Determining what needs to be done, who is going to do it, and when it needs to be done are all part of the planning process. Keep in mind that planning is an iterative process that takes place throughout the life of the project. Organizing is about setting up the project team's structure. A major driver in this aspect is the company's existing organizational structure. Companies are usually set up as functional, matrix, or projectized organizations. When organizing your project, you will need to take the company's structure into account. Leading refers to carrying out the project plan in order to achieve the project objectives. Leading the project is one of the more challenging aspects for new project managers because it involves a lot of "soft skills." Good leaders have developed skills such as communicating clearly, team motivation, and conflict resolution. Understanding what some of the key project manager duties are in relation to the four functions of management framework will help you lead your projects to a successful outcome.